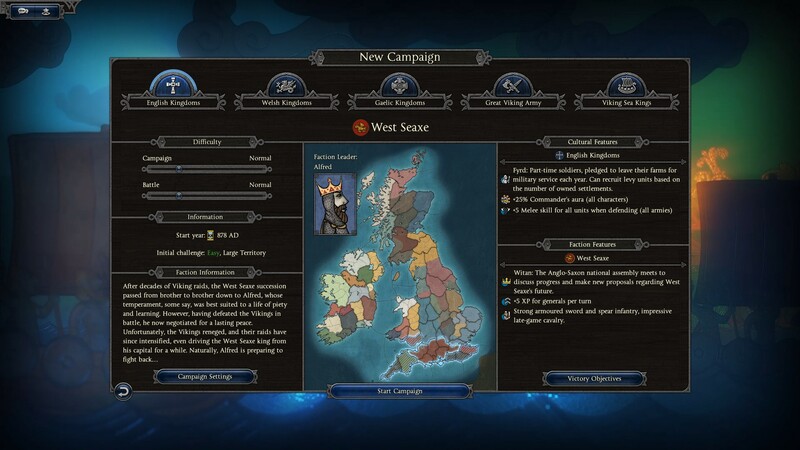 Let’s get one thing out of the way: Thrones of Britannia is not Warhammer. It is not Attila, nor Rome II, or even Shogun, for that matter – it’s a whole unique product that feels as alien as a new Total War could feel. Total War’s first Saga spin-off focus on the civil wars of England, after King Alfred the Great held back invading Vikings. 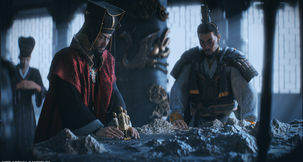 The game starts in 878 AD, and gives players the choice of ten different factions spread across five different cultures. Each has its own bonuses, rosters, and starting positions, creating a very unique experience depending on which people you choose. Making matters worse are the viking and raider invasions, which can come from all corners of the map including Norway and Normandy. Those tend to happen with no warning, simply spawning a fleet at the edge of the map that beelines towards a city in a way reminiscent of Warhammer’s Chaos invasions. I never felt that design particularly enticing there, and I sure as hell don’t find it amusing here. The map is extremely dense, but also remarkably uniform. Every province is packed to the brim with settlements and minor towns, but the mostly identical landscape makes it extremely hard to read the terrain – unlike previous Total Wars, Britannia makes it surprisingly unclear where a province ends and another begins. That obnoxiously unclear design extends to the interface, especially the settlement control panel. Instead of clearly demarcating the names of each settlement and separating them from each other, the game groups all minor towns to the right of the panel separated by a tiny little vertical bar. It annoyingly doesn’t show the name of the city when hovering over building options, so you don’t know what you’re building where unless you specifically click on a city on the map. This tends to generate some problems in strategic thinking, as Thrones of Britannia changes the way buildings are constructed. Choices are now restricted by location, offering you one or two options at most in all but the major cities. It gives importance to regions, but it severely detracts from player freedom and engagement by stopping them from specialising cities their own way. On the upside, the game’s new recruitment system works quite well. It allows you to muster a small portion of units in the same turn they are created, and steadily replenishes them over time. 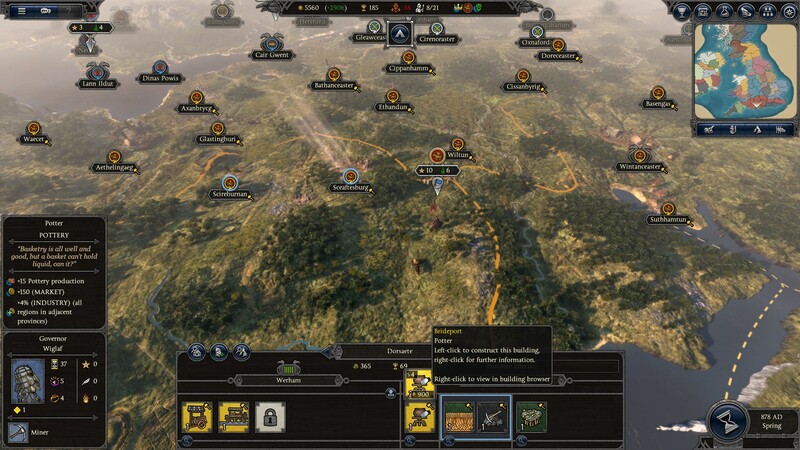 The new system feels somewhat more natural, requiring armies to spent a few turns garrisoned to quickly get up to fighting strength – it slows down the game quite a bit, but it creates some interesting tactical situations where one can quickly muster a half strength army to defend a settlement. 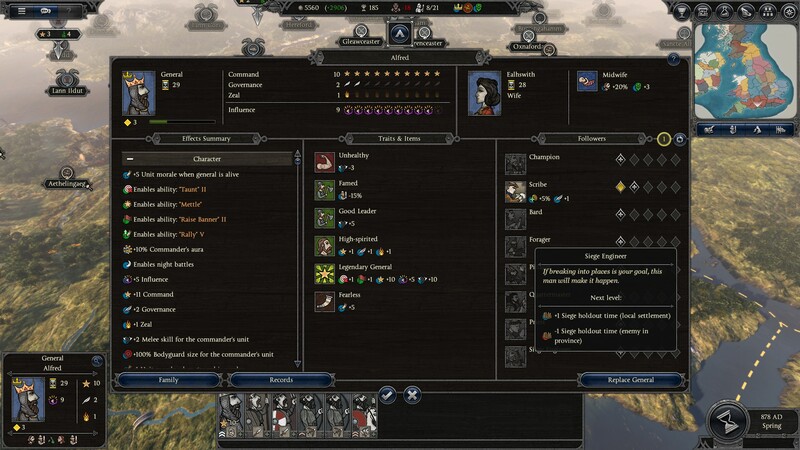 Interestingly, the number of unit types you have recruited now affect which technology you can research, creating an interesting vibe of proficiency to the technology tree. 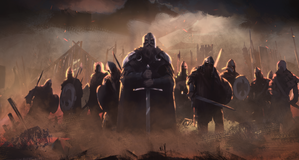 As you recruit a dozen spearmen or archers, you get access to unit type upgrades or bonuses that affect your troops factionwide, bringing that Skyrim feeling of becoming better at something just by doing it. It’s a nice idea, and I’m glad to see it implemented outside the RPG genre. Similarly, the old convoluted skill trees for named characters has been changed, consisting now of a linear scale that you can sink points to, like RPG stats. Zeal, Cunning, and Authority make a return from previous historical titles, and as you invest in those, you will be able to wage battles at night without reinforcing armies or increase the size of your general’s bodyguard contingent, for example. Tooltips tell you exactly what you’ll get at each level, and it seems like an efficient and straightforward enough change to the old system. 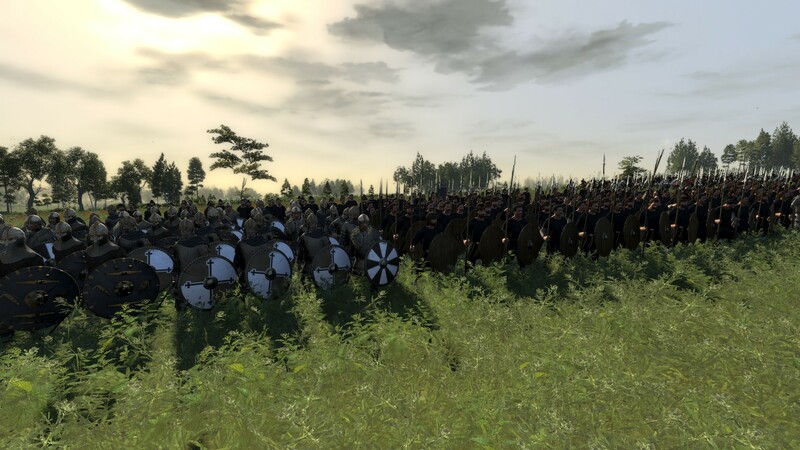 Tactically, Thrones of Britannia shines. The battle system is as good as it ever was, with units pilling up behind each other and grinding away at deadly melee combat. 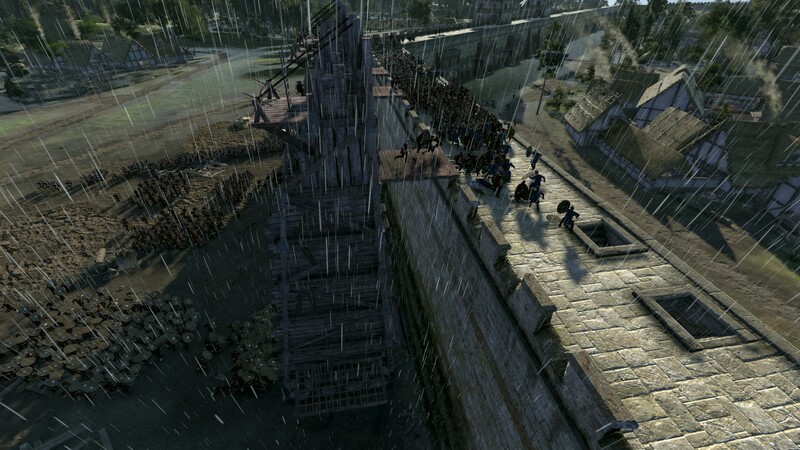 Gone are the MOBA-like engagements of Total War: Warhammer, where whole units would perish in seconds to archers or break away from battle after fighting for 30 seconds – Britannia has the great combat of Rome II, where units actually have a go at each other and infantry shields are perfectly capable of stopping ranged arrows and slings. 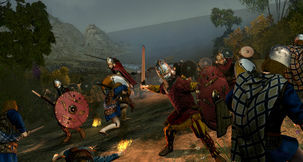 The game has roughly the same selection of every Total War game to date, consisting of sword, axe, and spear infantry accompanied by archers, slingers, and javelin throwers. Cavalry and chariots round up the remaining ground forces, while catapults and siege weapons play the role of heavy hitters. 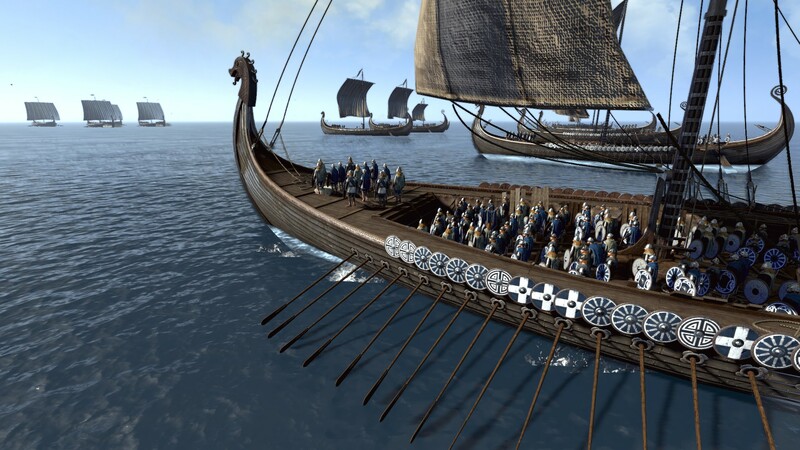 Naval combat is back after it’s absence from Warhammer, though it lacks the impact and details of Rome II and Attila. Most units have no abilities and none of them can ram the enemy, which basically turns sea warfare into an Age of Empires-like clickfest. Unfortunately, that unhealthy trimming of the fat hits the strategic campaign map the most. 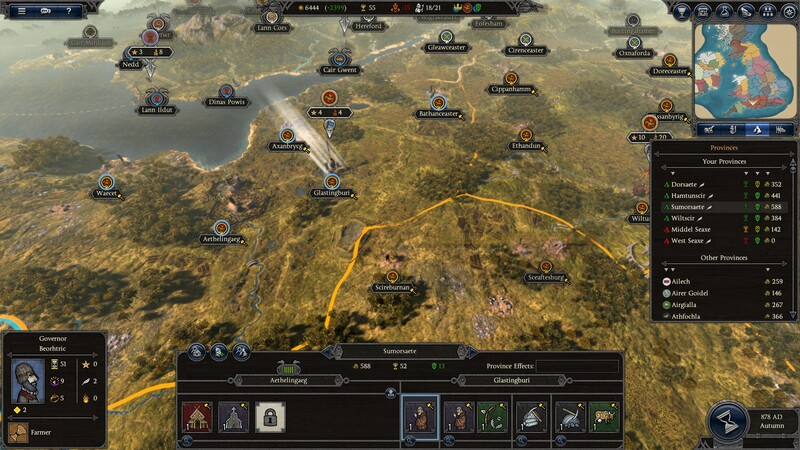 Previous staples of the Total War franchise like double march army stances are nowhere to be seen, significantly reducing strategic choices in the campaign map – you can no longer rush somewhere at the expense of stamina and battle initiation – if you see an enemy army moving towards a city one turn and a half from you, that city is lost. Technically, graphics are great, as is the music. Art style is mostly good, though I wasn’t a fan of the use of unit cards on the diplomacy screen. The new descriptions and personalities add a lot to the portrayal of factions, but instead of a moving 3D character who speaks to the player, engaging in diplomatic talks pops dialogue bubbles out of a stationary and lifeless artsy unit card. It immediately lowers the game’s standard from AAA to an indie title without model budgets – it is unnecessary given how the leaders of each particular faction had such an important role during this time period, and it ends up ruining immersion a fair bit. The game runs well, though ending a turn tanks frame rates into lower digits and makes AI turns take an awful long time. Thrones of Britannia has a serious problem with clipping, as both soldiers and boats go straight through each other and pile up as if they were completely ethereal. It is quite immersion breaking to see a ship manoeuvre straight past the middle of another boat or watch several infantry standing inside each other, staring into the distance instead of facing the enemy. Total War Saga: Thrones of Britannia is by no means a bad game, but it’s clearly been designed by people who don’t have as much experience in Total War as they should have. 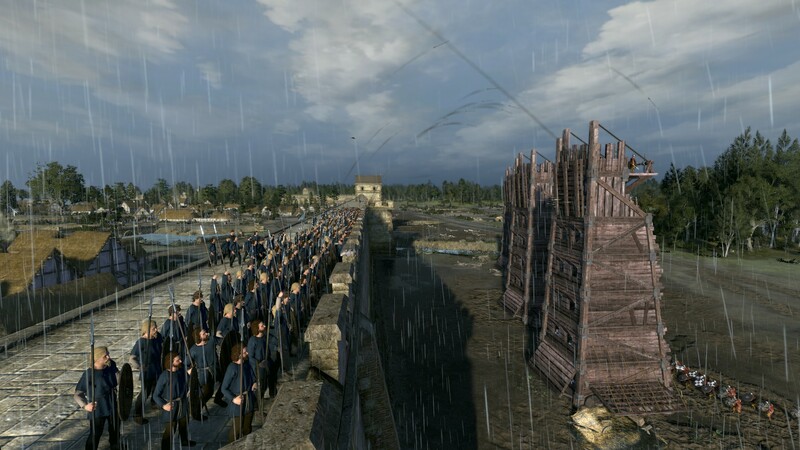 It has some of the same limitations that Empire and Napoleon had – games that were made 10 years ago. Most decisions in Thrones of Britannia do nothing but take away player choice, and stand in direct contrast to every improvement the Total War franchise made in recent years. While Britannia has some nice ideas, most of the concepts are actually rather flawed, and the end result is an entry that innovates parts of the Total War franchise but steps back in everything that made it special. A Total War title that removes several tactical and strategic options and steps back most of the innovations made in recent entries.